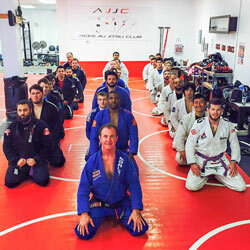 Brazilian Jiu Jitsu aka BJJ promotes the concept that a smaller, weaker person can successfully defend themselves or another against a bigger, stronger, heavier assailant by using proper technique, leverage, and most notably, taking the fight to the ground, and then applying joint locks and chokeholds to defeat the opponent. 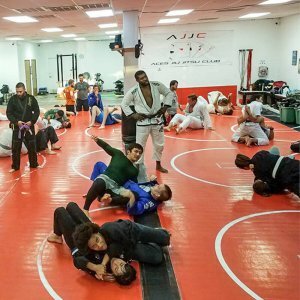 In your first session one of our “Award Winning” coaches will teach you how to perform your first BJJ technique, The Armbar. 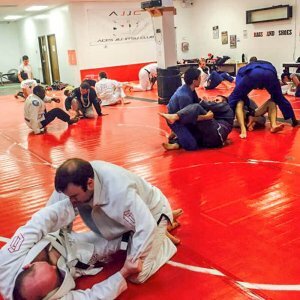 The BJJ Core program will give you a solid understanding of the basics and fundamentals of Brazilian Jiu Jitsu you need to reach your goals. Learn the most effective Martial Art for Self-Defense in the world, Brazilian Jiu Jitsu. Increased confidence, discipline, and focus. Surround yourself with people who are dedicated to self improvement. A fun way to get in great shape while building quality relationships. Experience higher energy levels and a happier/healthier lifestyle.